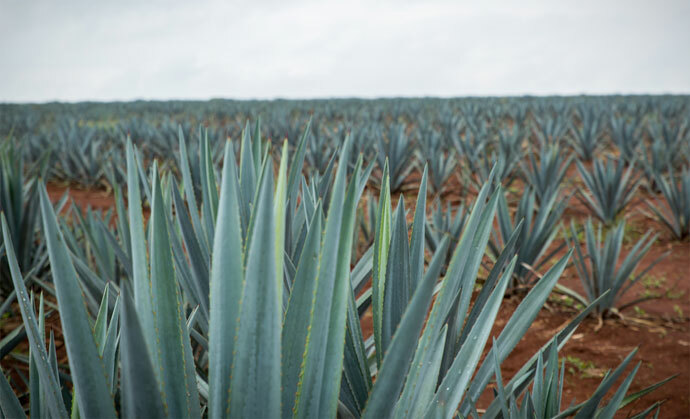 Tequila has its own soul and this must be greeted, under the stalks of the maguey you find its sugary heart that within a period of ten years reaches its ripeness. This process must never be altered. Time carries wisdom. Tequila has a soul that must be honored. Beneath its long, thick, spiny stems lurks a heart of sugar... patience! It will ripen in seven to ten years. “Embajador Agaves which grow in the highlands of Jalisco ripen in 8 to 10 years. Their growth should not be hurried, for time is all-wise. The Way of the Agave is a traditional art. We honor tradition and do things as they were done of old. Our process begins in the adobe furnace that softens the plant’s fibers and transforms its starches into sugars. The agave is then heated for 30 hours and left to rest for another 12. We honor tradition and also embrace modern cooking methods. We do things as they were done of old by cooking a portion of our Agave in the adobe brick oven. 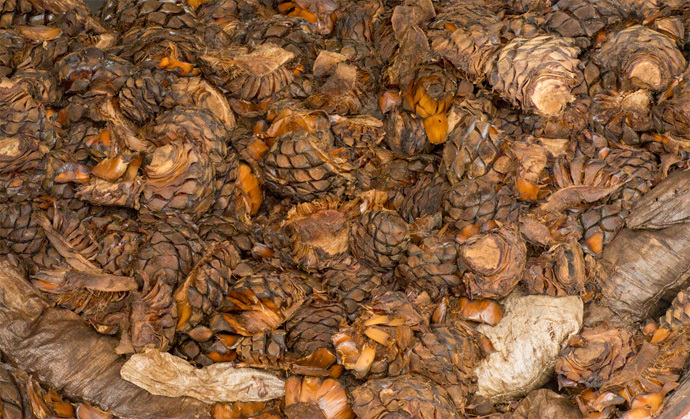 We also keep up with the times and cook another portion of our Agaves in an Autoclave. At the end of the cooking cycles the pina fibers are softened and the starches are transformed into sugars. 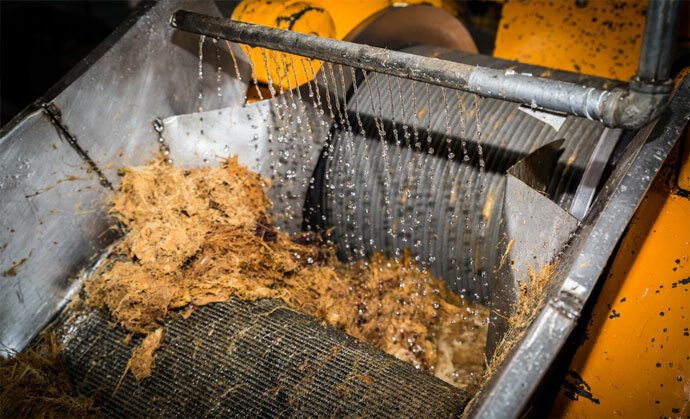 Once cooked, our Agave is passed through a shredder to separate the coarse fibers, then through rollers to squeeze out its sweet juice. To facilitate the process and extract the last drop of nectar, water is injected through the mash at high pressure. The extracted juice is placed in vats where the process of fermentation begins. Embajador devotes from three to five days to this step, so as to attain the proper body and quality. 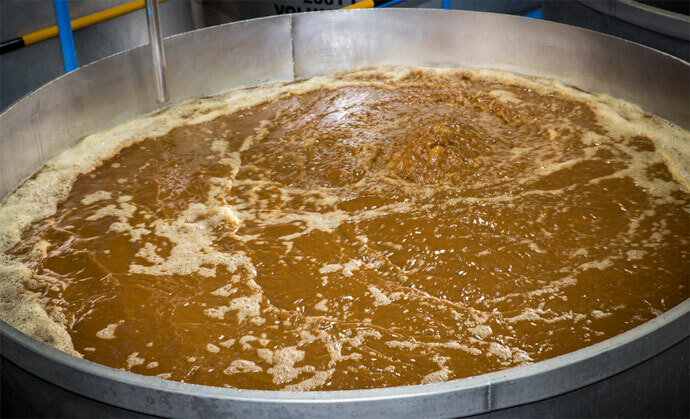 When this natural chemical process is complete, the mash is prepared for the first, or “ordinal” distillation. This is followed by a second distillation to purify the spirit into premium white tequila. With the distillation complete and the base tequila ready, the liquid is set aside to age. 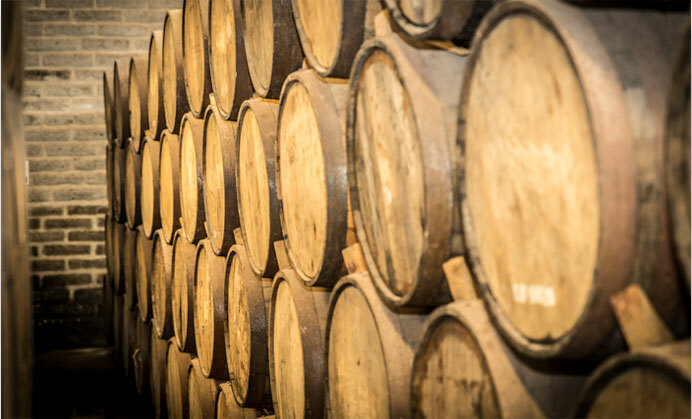 Embajador Tequila’s cellar can accommodate 1,600 barrels (200,000 liters). While the Blanco (white) tequila may be bottled as is, we take an extra step. Embajador Platinum Blanco is rested in stainless steel vats up to 40 days before bottling for a complete development of character. Extra Añejos are aged for a minimum of three years. Our Gran Embajador is double barrel aged in Maker's Mark and Jack Daniels American Oak Whiskey barrels for a minimum of 36 months. Its elegance awaits to reveal its grand exquisiteness and character.